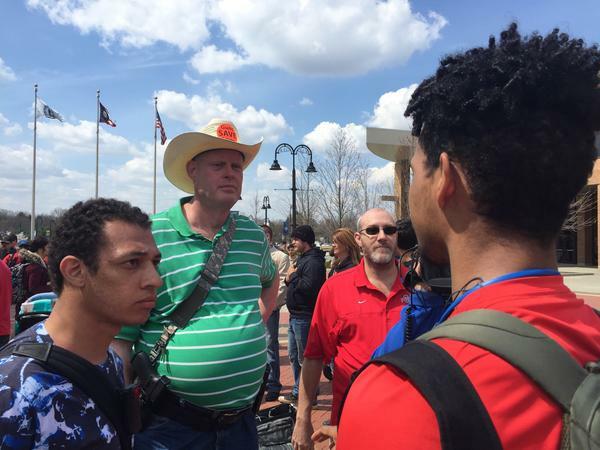 Open carry demonstrators gather at Risman Plaza. Jeffry Smith, second from the left, helped organize the event. Kaitlin Bennett teamed up with Jeffry Smith for the event. About 70 demonstrators gathered in Kent State University’s Risman Plaza Friday carrying handguns and rifles or wearing holsters. While visitors can bring guns on campus, students and staff cannot. The event was organized by senior biology major Kaitlin Bennett and Cincinnati-area accountant Jeffry Smith, who has held similar open-carry demonstrations at the University of Akron and other sites around the state. Bennet says they were there to spark conversation. "It’s a hot topic right now," she says. "There’s students marching in the streets, high school students, college students are marching out of their classes. It’s a conversation that needs to happen, it needs to happen right now." 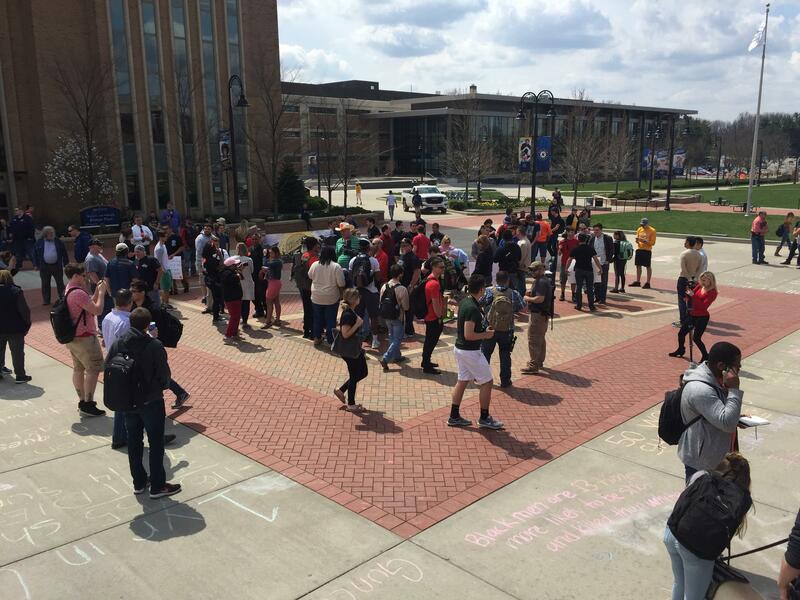 Kent State sent a message to students Thursday explaining university policy and that the university allows peaceful dialogue from all viewpoints. 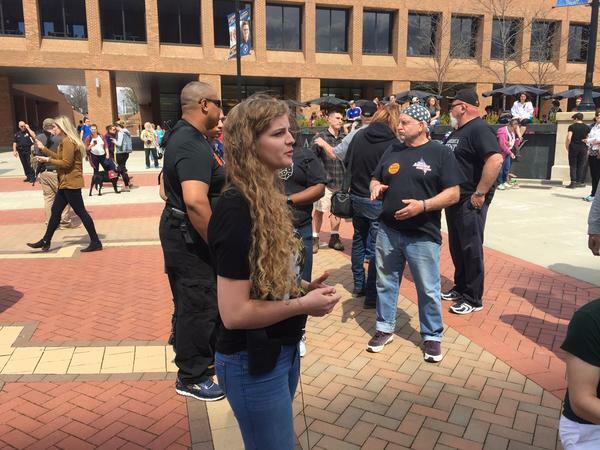 Smith's other events included an open-carry gun walk on Kent State’s campus in 2016.